Attention! Soybean Aphid Alert! Soybean aphids have started to hit our area. We found out some fields are at threshold. I just visited with a grower whose fields are in Southern Adams county and Northern Columbia county and he has soybeans fields that need to get sprayed. Be sure to use a minimum of 15 gallons of water and a lot of pressure to get good coverage. I have had very good results using Leverage 360 insecticide in the past at the 2.8 oz rate. If you are spraying the field consider tank mixing in a foliar micronutrient package, such as Max in ZMB, and/or a foliar fungicide such as Stratego YLD at 4 oz. Please contact one of our agronomists to find the best recipe for your acres. Thanks and be safe out there! UPDATE (5:36pm): In talking with our team up in Galesville this afternoon it sounds like the Soybean aphids are very bad up on the Trempealeau Prairie, just west and a little north of our Galesville location. They are ordering in more Leverage to combat this pest. Please check your fields on a regular basis. 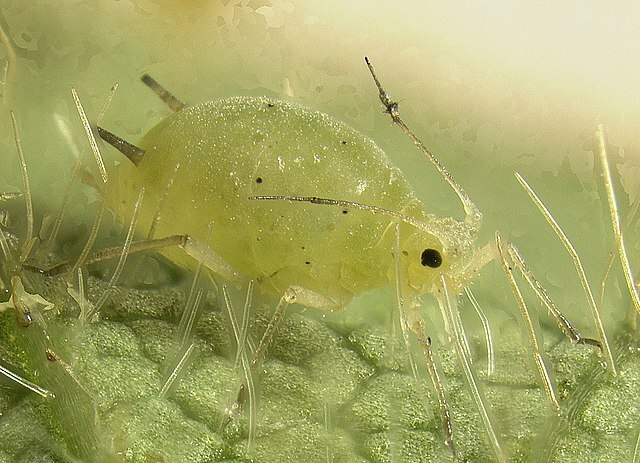 Typically the threshold is at 250 aphids per plant.